We are happy to greet you once again and pray that this letter finds you well. We are doing very well, Praise the Lord! We've gained a few extra things and a few extra pounds we will hopefully be looking to get rid of this summer as we are closer to going to PNG! The last couple of weeks and days have brought about some big changes for us. Change is usually not all good, neither is it all bad. It's amazing when we look back and see how the Lord works in our lives and never leaves us or forsakes us. We are eager to see what he has in store for us next. We were so blessed while working with GMI and are so grateful for your support. Our desire to go to PNG began to grow in our hearts while we were still in Guyana. When we left there we joined Hope on Wings in order to follow that growing desire. With them we gained many contacts with the people there, we got the offer to come fly there and the use of an airstrip when we get there but we still needed airplane maintenance and mechanic support. So we joined Adventist World Aviation (AWA) knowing that they would be able to provide the needed support. We have been working with AWA for about 8 months now but, due to a variety of issues, we have decided to look for another organization to work with. One of the items was that AWA insisted on a 6 year commitment and at this stage in our lives considering the age and health of our parents we are not sure we could complete it. We will miss the maintenance help but we are confident God will provide. He has already sent us a mechanic that is very interested in moving to Papua New Guinea (PNG) with us! Another item is that AWA is not ready to go to PNG for 2-3 years yet. Since we have felt very strongly for a long time that PNG is where God is calling us and time is of the essence, we are greatly determined to answer that call. Changing to Mission Projects Inc. (MPI) allows us to get back on track and go to PNG now. MPI will also allow us to have more funds for the project as the administration fees are 2% and are a small fraction of what we have been charged thru AWA.. We want the donor money to go as directed to the project and to go as far as possible. We have seen over and over how God takes donations and multiplies them like He did the 2 fish and 5 loaves. We strive to manage the money in every way to honor Him. This change also allows us to remain in control of the airplane--how it is used and where. You, our donors, have entrusted us to get the plane ready for service, and we are humbled at how you have met the needs and we want to make sure it is used as you intended. We don't always understand the paths the Lord leads us down, and sometimes we divert and the Lord has to bring us back. Our goal is to continue to follow Him and "He shall direct our path". We are happy to once again be focused on PNG where our burden lies. Thank you again for your loyal support and encouragement. 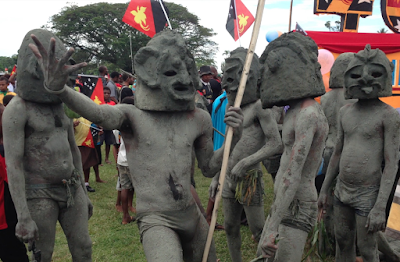 We would like to be sending stories from PNG by summer if all goes well. We apologize for any inconvenience this change may cause you. We feel the pros out weight the cons and are trusting God as we move forward to work in His vineyard. Checks should be made out to Mission Projects Inc. Please include note stating; Lewis Project. For credit card or pay pal you can go online to www.missionprojectsinc.org and go to donation area, or you can call Susan at 509-529-2378.